Last time around we had live music from The High Wire and we were all cast under their gorgeous spell. Foreign Office shook up the room with their awesome pop and David Byrne looks, (…circa Once In a Lifetime). This time around we have some of London’s hottest talent on show. There’s gonna be upbeat drums, spikey guitars, harpoon-sized hooks, claps, cowbells and more at this monster indie session. Of course we also have Eleni Mettyear’s photobooth setting up so get planning your shot. Her last session resulted in the busiest flurry on Facebook that we’ve ever seen, with a monster tagging session. Obviously the Recommender’s next mixtape (#5) will be handed out, alongside the usual badges, stickers and other goodies, so make sure you pick up one of these too. 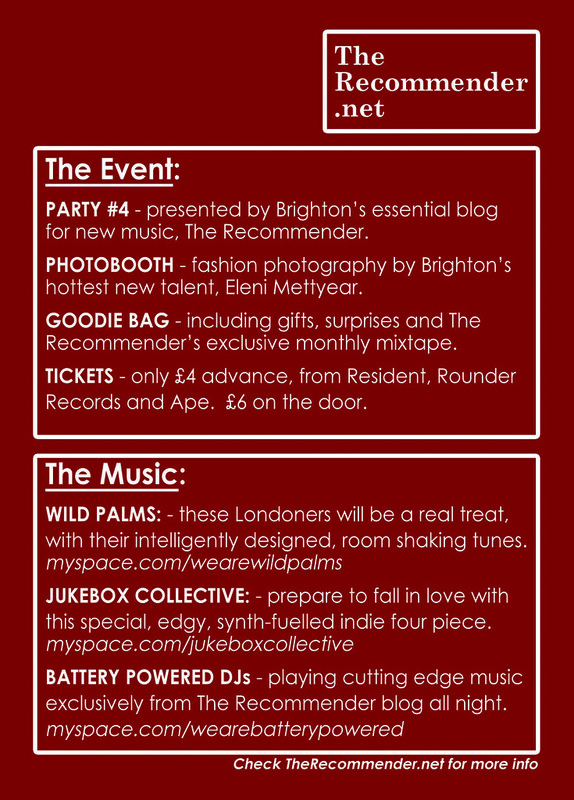 Below we list the 4th mixtape, available to download, purely so you can see what you’re missing! JUKEBOX COLLECTIVE – We are just as excited to see this support band as we are the headliners. Not since the power of Sunshine Underground have indie tunes sounded so sharp, punchy and jammed with addictive hooks. This is a band that we predict will surely be back to headline next time around. 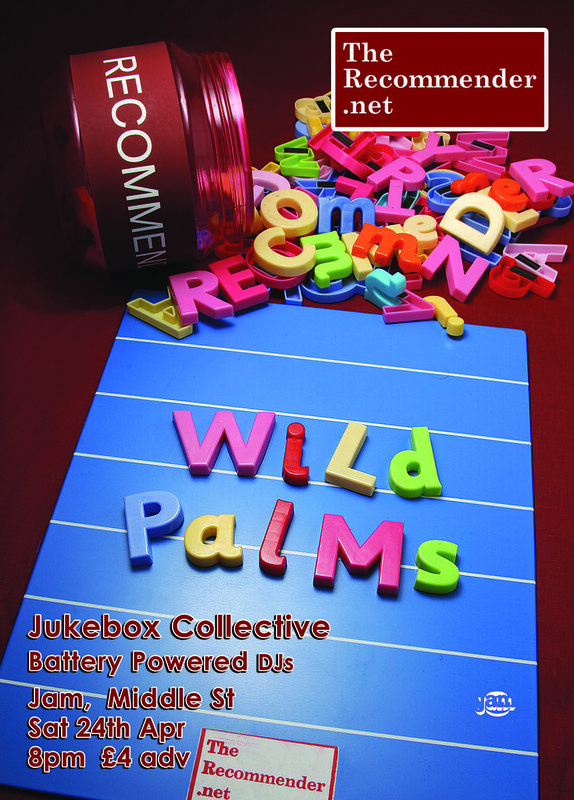 WILD PALMS – They may well have some of the best razored indie riffs around, but beyond the enticing guitars there’s a stack of intelligent, well-designed songs packed into their lockers. All of these are carved out with skill, showing them off as a triumphant, energetic group well deserved of their current NME and Radio One attention. They’ve also had some extraordinary remixes done for them, (see the below track).